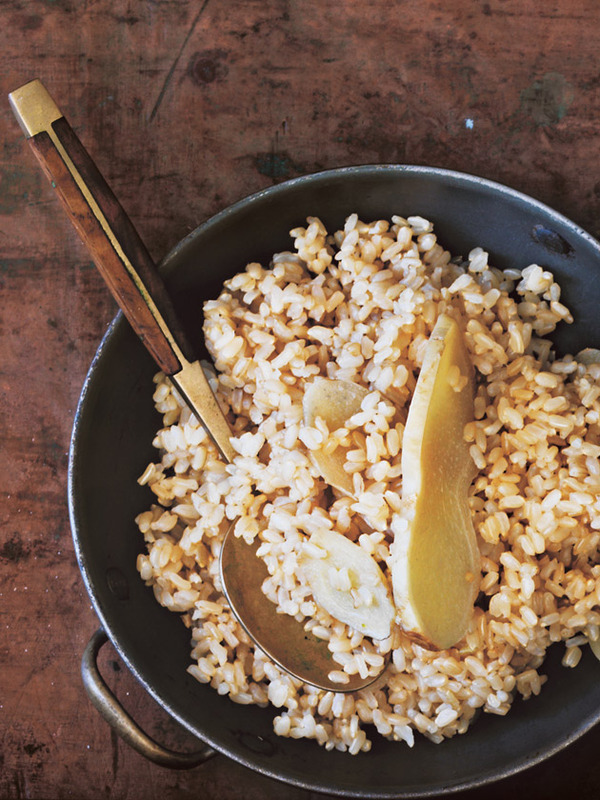 Place the rice, water, salt and ginger in a medium saucepan over high heat. Bring to the boil, immediately cover with a lid and reduce the heat to low. Simmer for 25 minutes or until almost tender. Remove from the heat and set aside, covered, for 10 minutes or until tender. Serve. Serves 4.